On Hands Occupied, yarn crafts are everything that fall outside the scope of knit and crochet. 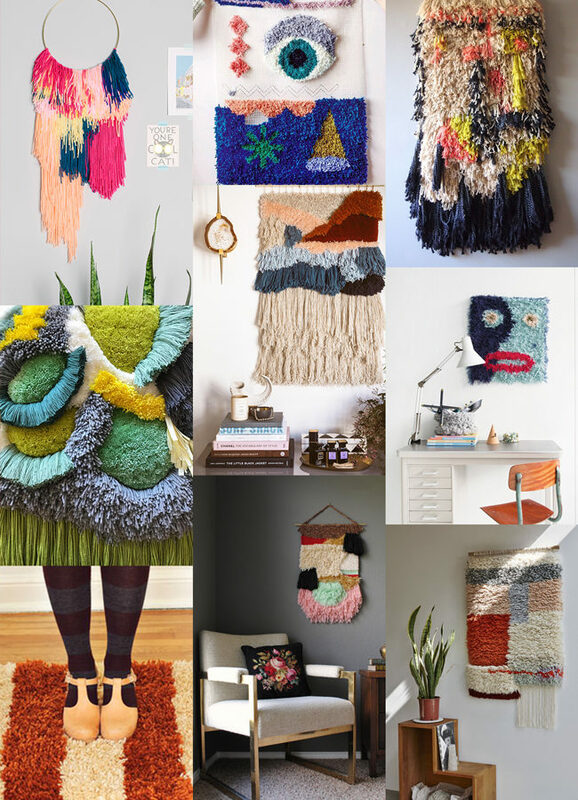 You'll find ideas and tutorials for pom poms, tassels, macrame, weaving, latch hook & more in this section of the site. Also known as punch hooking, punch needle is an easy-to-learn technique for making your own rugs, tapestries and more! Get to know the basics with this quickstart tutorial. 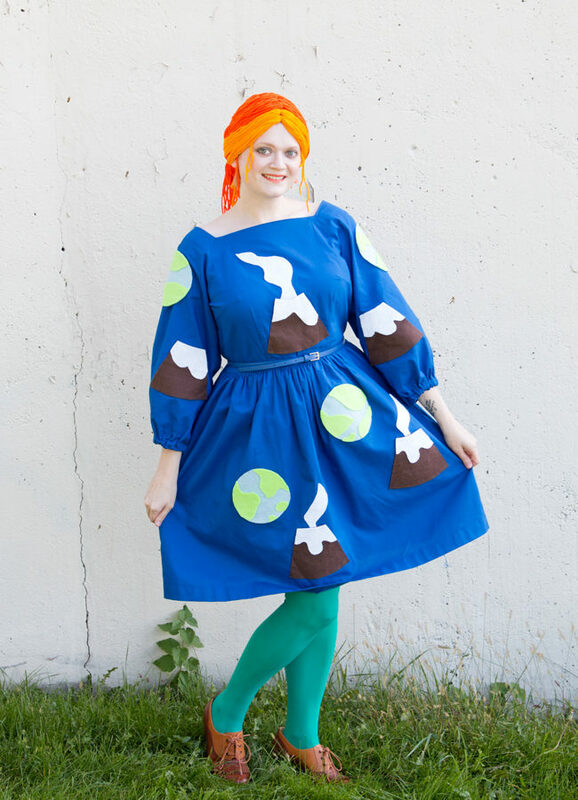 Make a quick and easy Ms. Frizzle costume from The Magic School Bus. Perfect for Halloween or comic con! 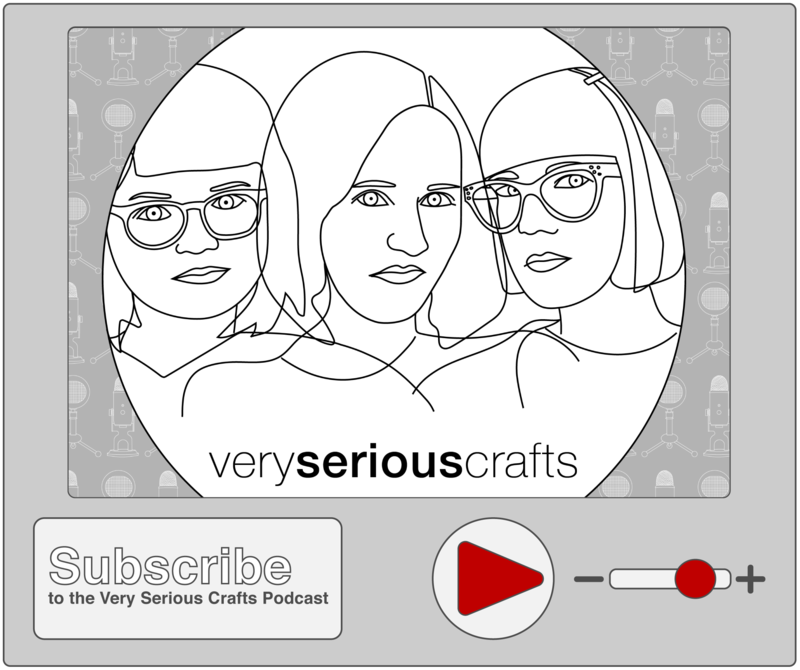 No sewing, knitting or crocheting skills required. 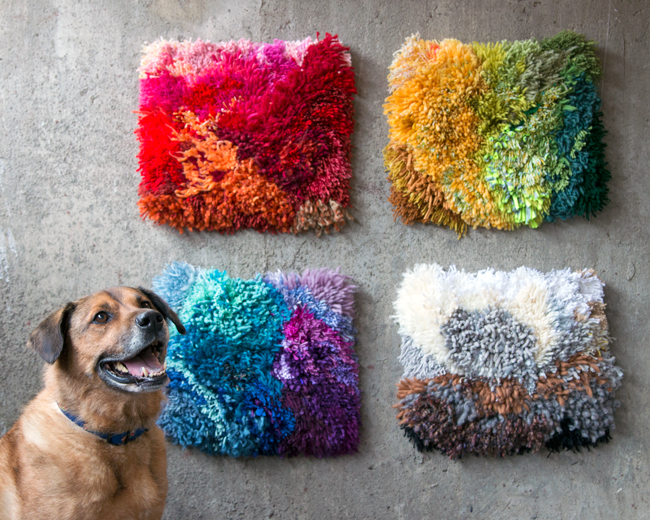 This simple, four-panel latch hook project is all about finding a way to beautifully use and share scraps from your yarn stash. Gather your yarn ends! Quilters get to use fabric scraps to create beautiful works of art from their leftovers. Why can’t the same concept apply to yarn crafters? Check out this free pattern for a basic latch hook wall hanging. 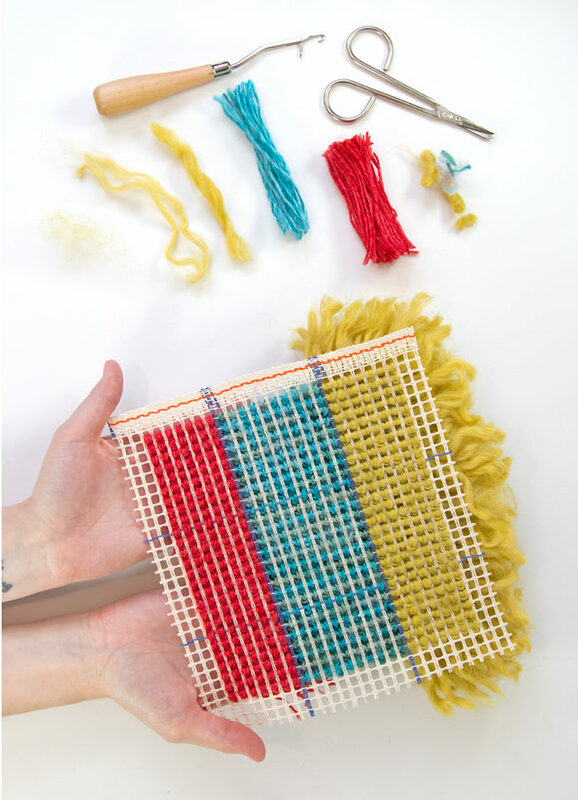 The Tiered Colorblock Wall Hanging features three kinds of yarn cut into different lengths, resulting in a visually interesting finished project that will add some color and whimsy to your home decor! 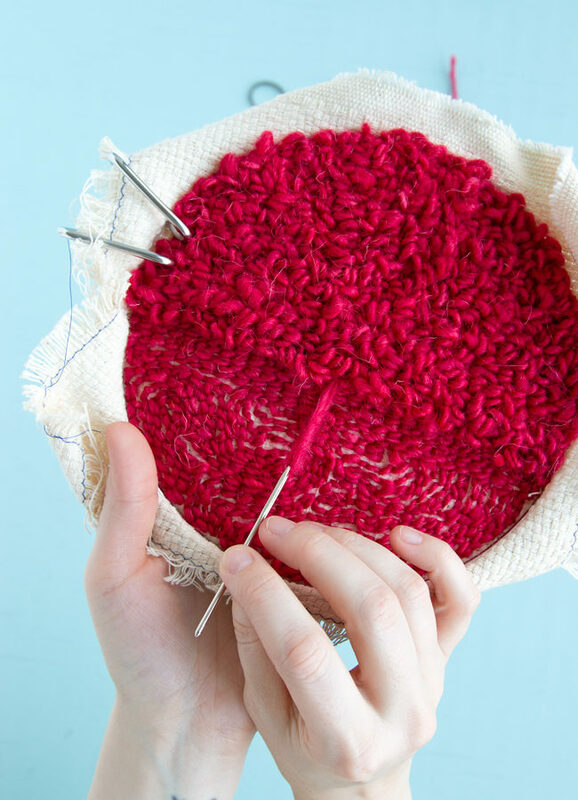 You’ve mastered latch hook basics, so it’s come time to finish your project to turn it into a handmade masterpiece. What do you do? Learn basic latch hook project finishing with this easy tutorial. 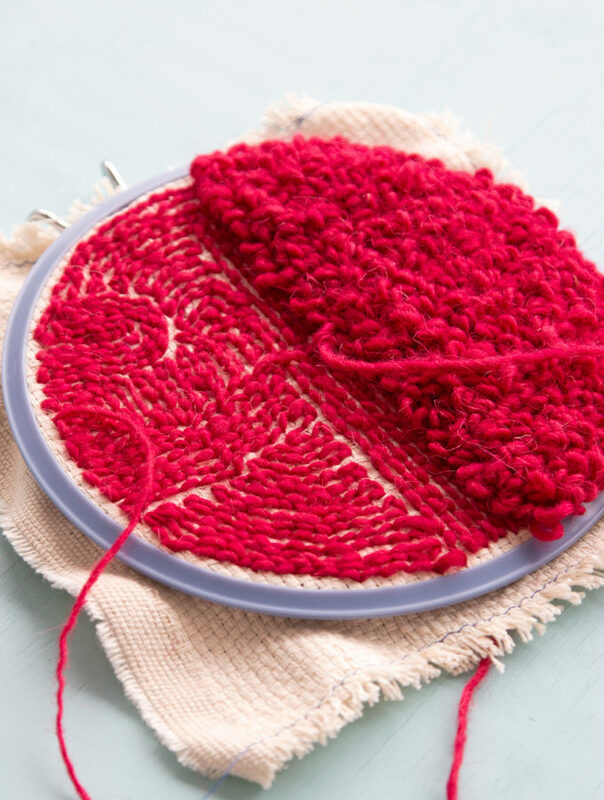 Learn the basics of working a latch hook project from square one, so you can try this fun craft for yourself (and use up your yarn ends in the process)! Latch hook is back! 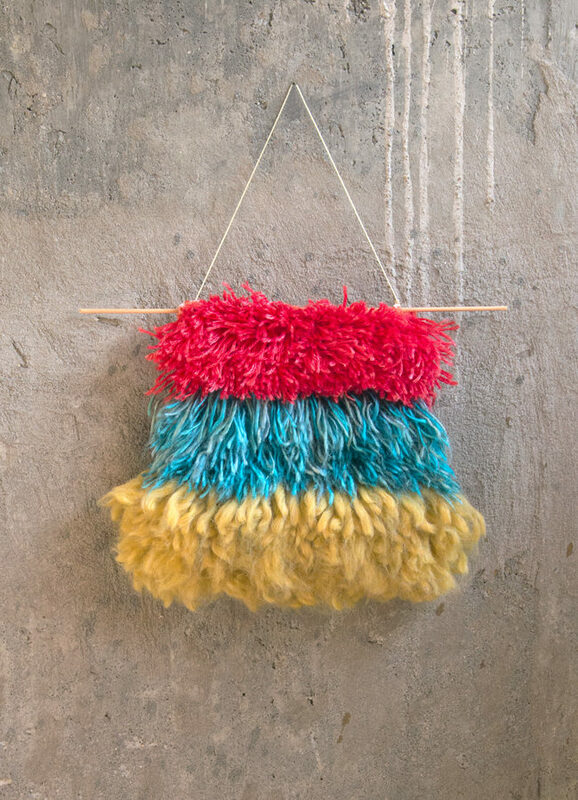 Check out 9 inspiring ideas for a contemporary take on this shaggy, well-loved craft. 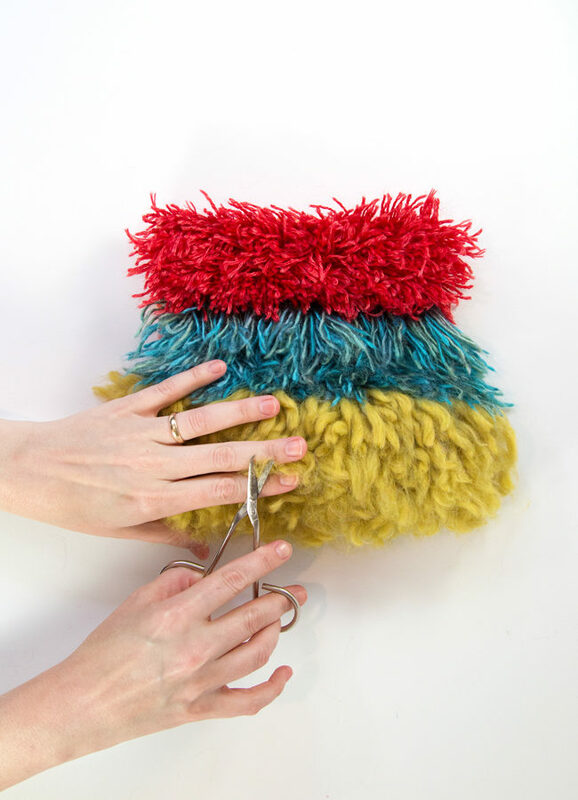 Learn the best tips for getting perfect tassels every time. 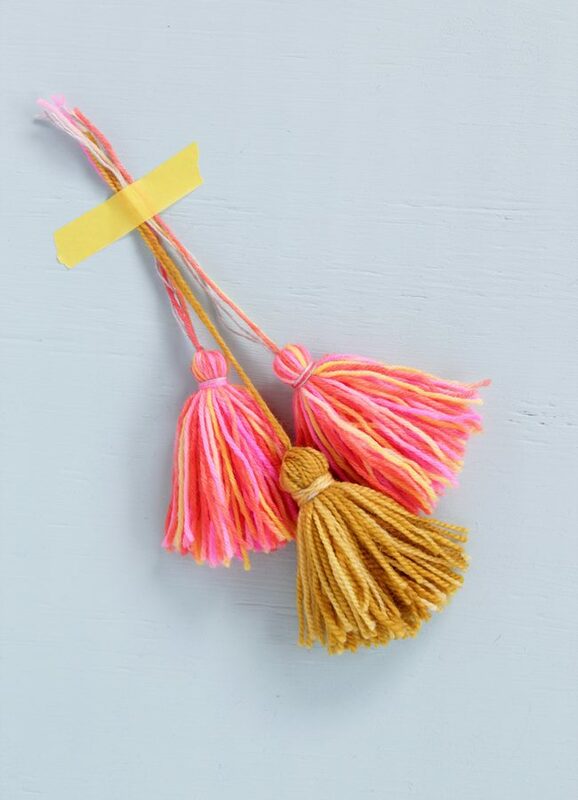 Tassels are the fun part of yarn crafting – you don’t have to count stitches or take yourself too seriously when you make them. They can show off your yarn in different ways than standard patterns may allow, which can be really refreshing!